Hi Friends! How are you doing? Did you enjoy Meredith’s guest post on Friday? It’s worth a read if you missed it! I am still in Chicago, but heading back today. I’ve had a great week of travel, but I am reallllyy ready to be home. I’m ready to not have wine or beer at every meal and I am ready to not eat out. Does anyone else feel that way at the end of a vacation? With that said, I tried to counteract the cocktails and restaurant food by getting in some solid workouts. The Westin I stayed in while I was in Dallas was great! It was big, there were lots of cardio machines and a good selection of weights. 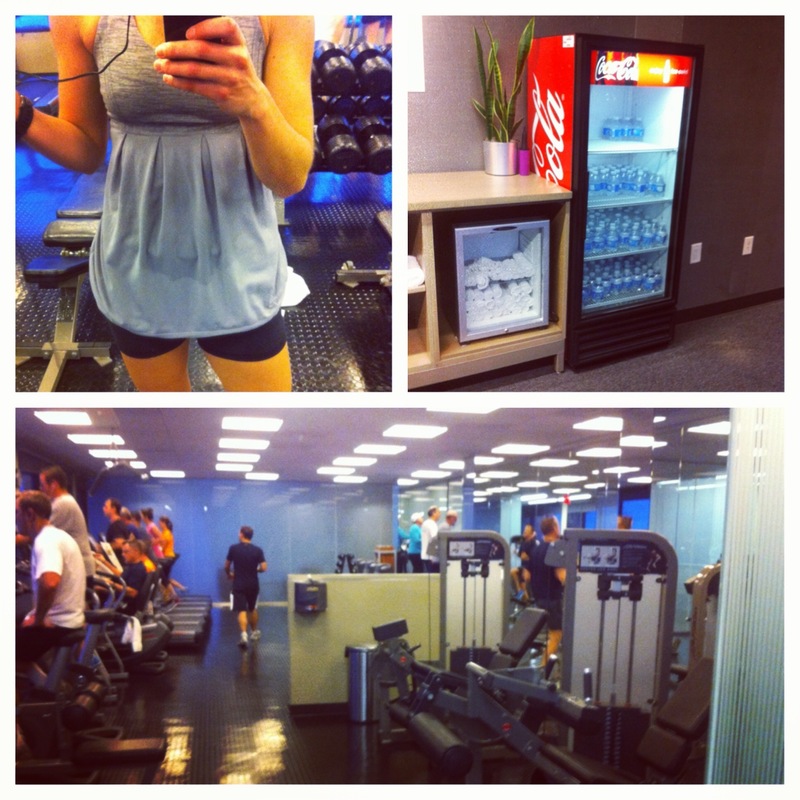 I got up before my training sessions on Wednesday and Thursday and took advantage of the gym. I headed to Chicago on Thursday night and met up with my sister at a hotel near the airport and was able to get in another hotel gym workout before heading into downtown Chicago. I took the weekend off from any formal exercise. This wasn’t my intention, but it worked out for the best since this week is going to be an intense workout week between attending Mania on Friday and Sunday and doing the Fenway Spartan race on Saturday. I’m also subbing a class tonight, so resting on Saturday and Sunday (besides walking a lot!!) was a good thing. 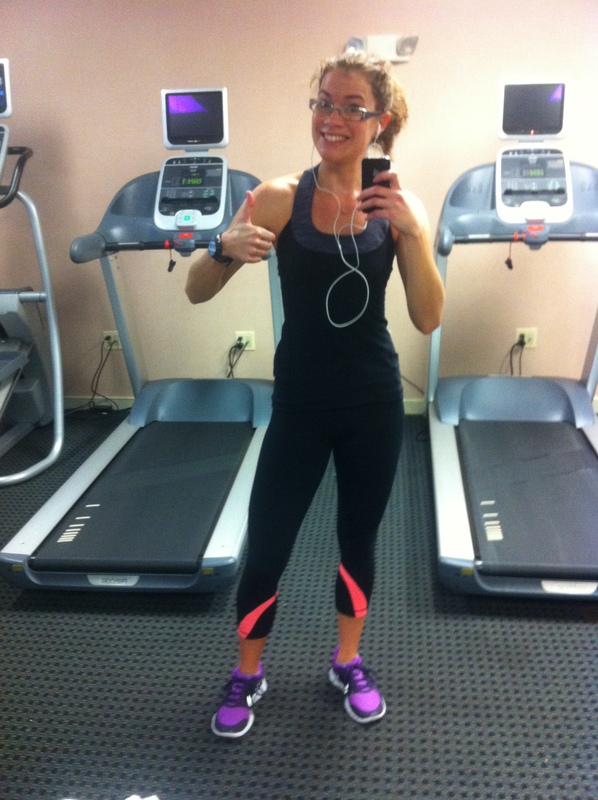 Monday- I went to the gym after work and ran 4 miles on the treadmill. I ran it about 40 seconds faster last week than I did the week before! My muscles were sore from Sunday’s “Y Pump”, so a good run was perfect. Tuesday- I got up before work and did the 25 rep cardio & core I posted a few weeks ago. Before completing that, I did 10 minutes of random cardio in my apartment. 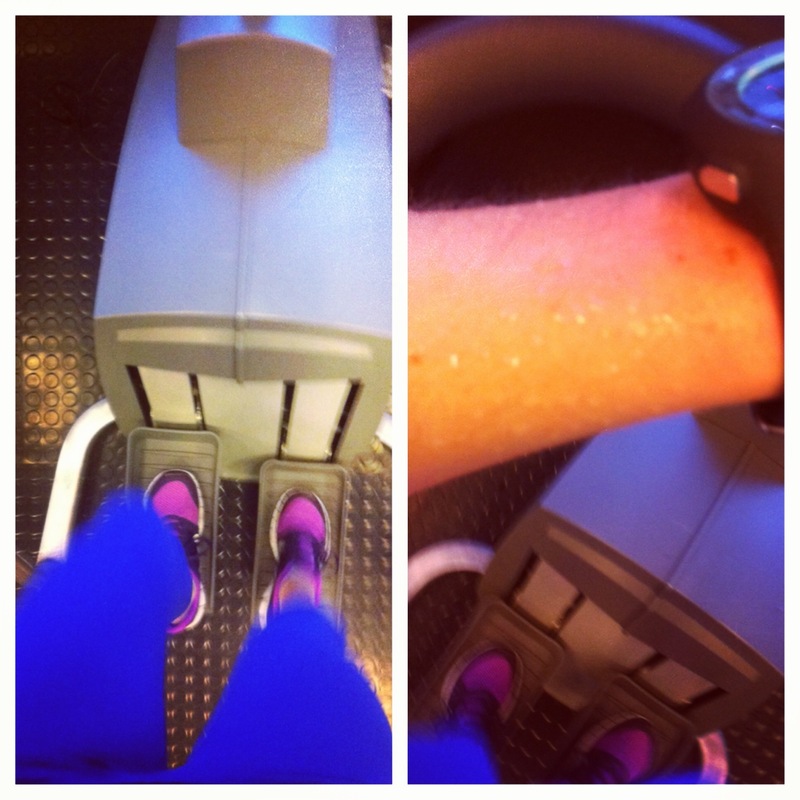 Wednesday- I ran 3 miles on the treadmill at the Westin and then completed some core and strength exercises. Thursday- I did 20 minutes on the stair stepper (I haven’t used that machine in SO long. I forgot how much it makes me sweat!) and then did a superset workout: upper, lower and core. Friday- I did 10 minutes on the bike and 20 on the elliptical and then did 2 rounds of my Got 20 Minutes? workout. Saturday- Lots of walking around Chicago! My feet hurt by the end of the day! Sunday- More walking around Chicago… lots of walking again! Monday- Subbing a kickboxing class at the Watertown BSC… pending that my flight isn’t delayed! Tuesday- Not sure! Something quick after work I assume so that I can grocery shop after. Wednesday- Cardio and teaching UXF Burn- I missed my members!! Thursday- SHRED and Kickboxing… ready to be back at it! Friday- Spending the day in Danvers at the Boston Mania fitness event. I signed up for a bunch of courses so I am excited to be in my “happy place” all day learning lots of new information about workouts! 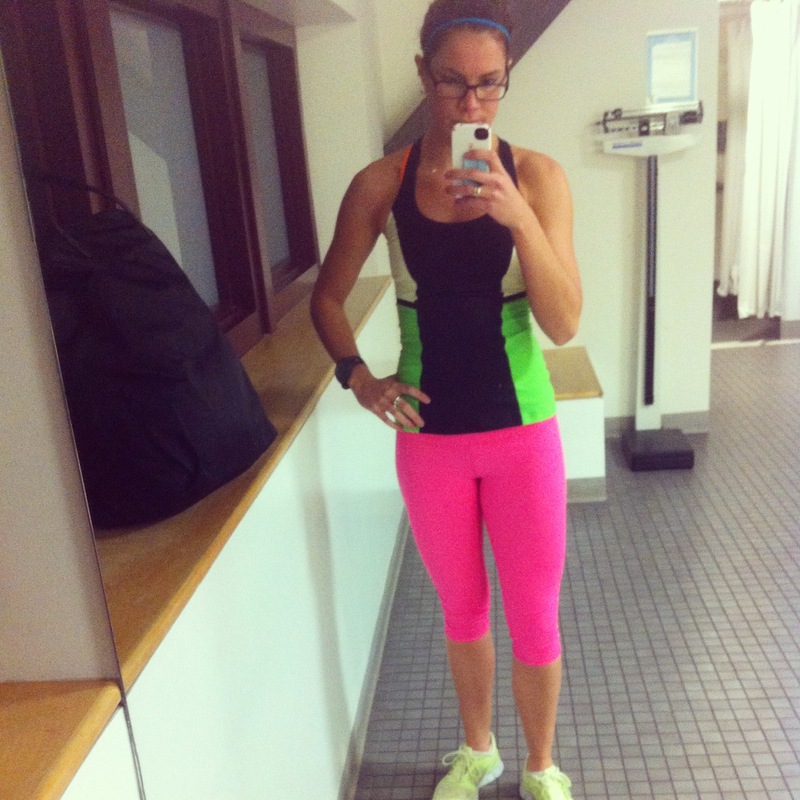 Saturday- I am doing the Fenway Spartan Sprint… eek! I hope I am not too sore from Friday’s fitness events! Sunday- I signed up for more courses at the Mania event, but I think I chose lectures and information sessions more so than fitness ones… I have a feeling I’ll be very sore on Sunday. Questions for you: Are you ready to go home by the end of your vacation? Is anyone else attending the Boston Mania event? PS- Thank you to all the Veteran’s who protect our country! Ah, the Chicago airport seems to always have delays. I had a layover there for like 4 hours once haha. The Boston Mania thing- does that happen once a year? I would LOVE to go to something like that. Have fun!!! I made it! No delays at all… shocking, right? Yes, Mania happens once a year in Boston, but they do it in cities all over the world throughout the year. It’s amazing- still time to sign up for this year’s event!